It’s official. 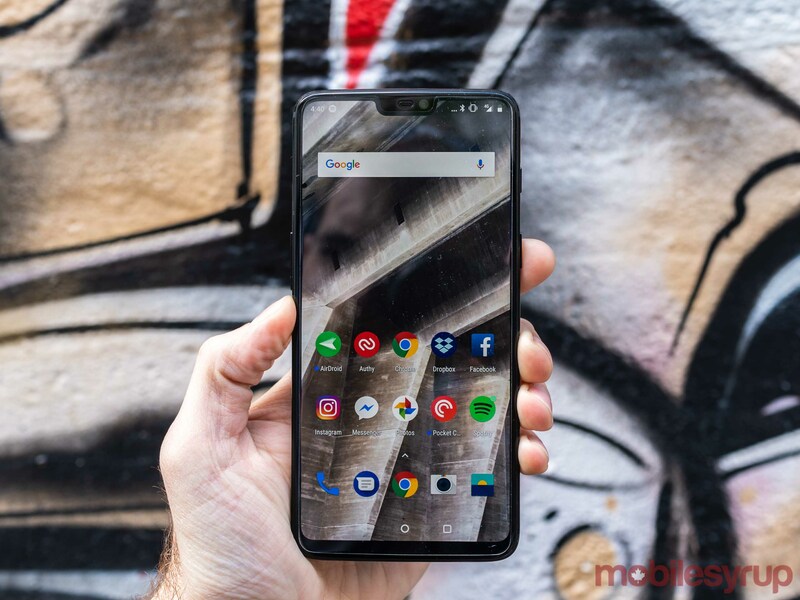 After six months of build-up and more than a couple leaks along the way, the OnePlus 6 is launching in Canada next week. MobileSyrup got to go hands-on with the device shortly before OnePlus announced it today. 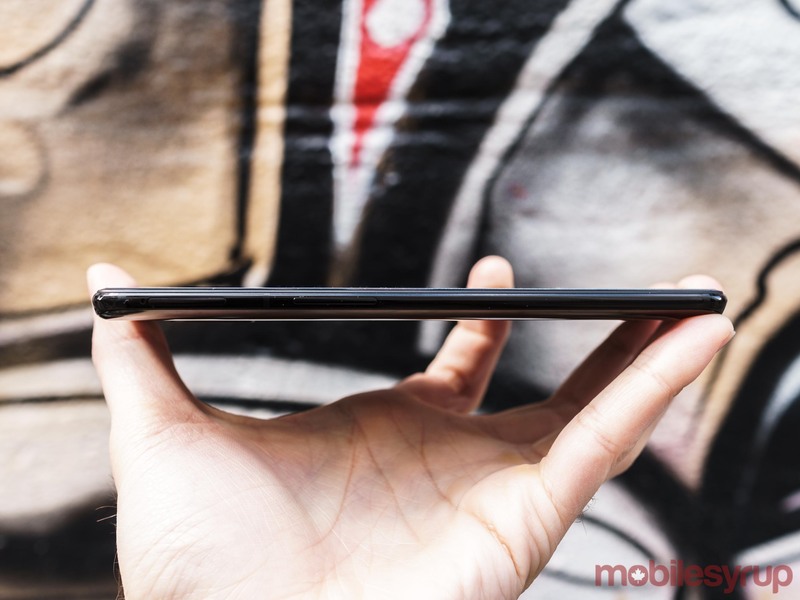 Read on to find out our initial impressions of the device. Like a lot of recent smartphones, the OnePlus 6 features a display notch. 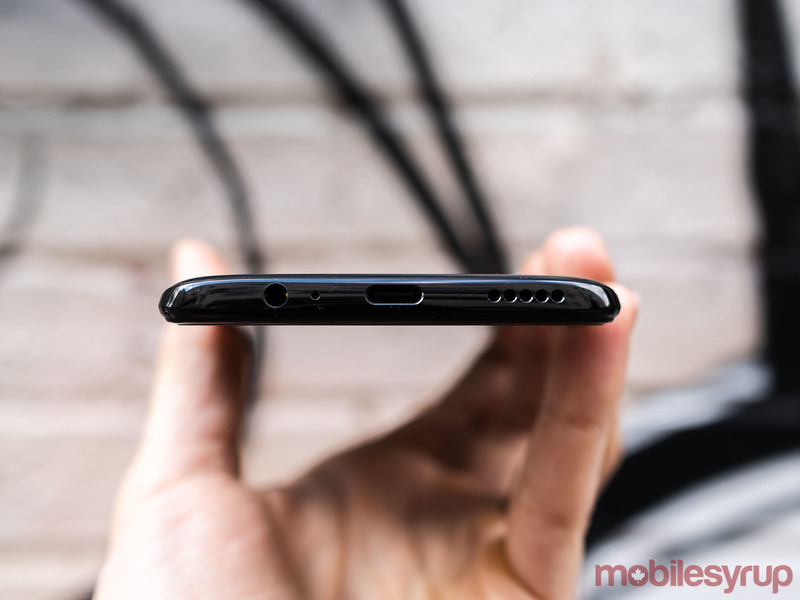 I’ve never had a strong opinion on display notches — either negative or positive. However, I will note here that the notch on the OnePlus 6 is smaller than its iPhone X counterpart and it blends in well with the rest of the phone. 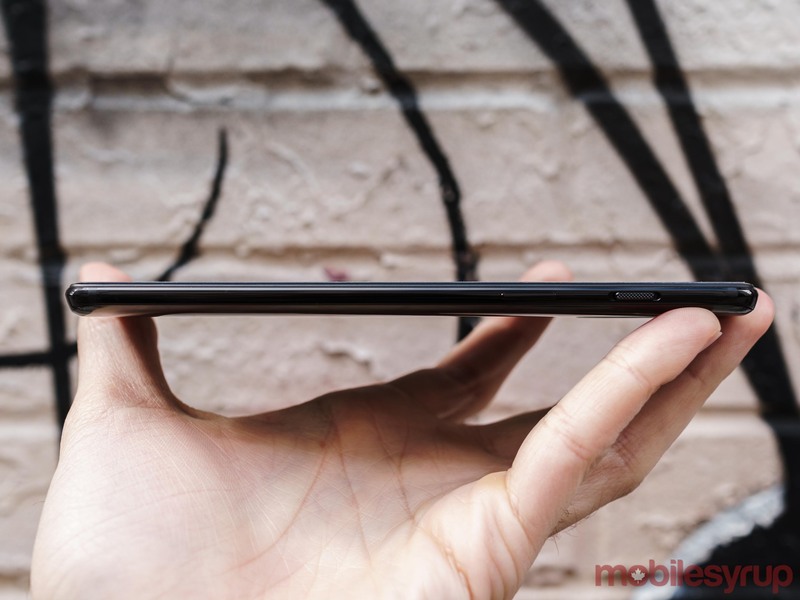 Once you get past the notch, the OnePlus 6 includes a number of other design flourishes that distinguish it from its most immediate predecessor. 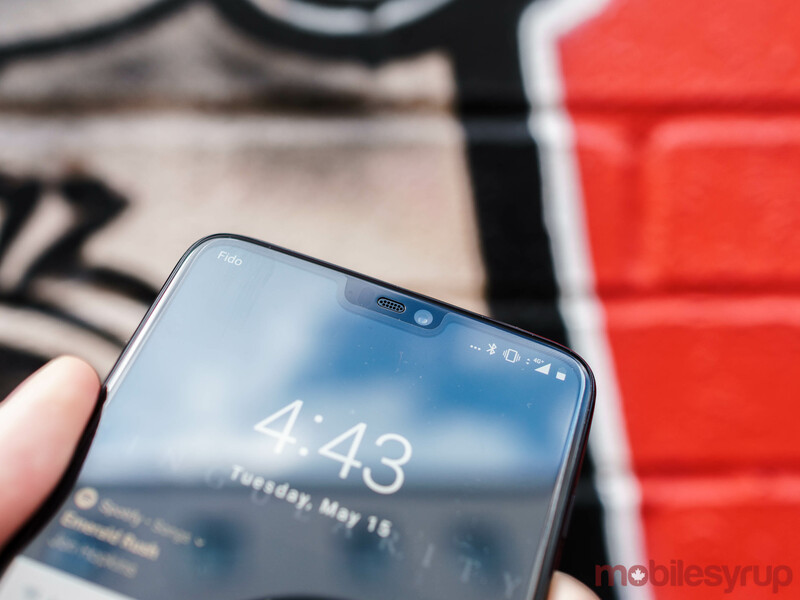 The most notable of these is that the OnePlus 6 is OnePlus’ first all-glass smartphone. It features Corning Gorilla Glass 5 on both its front and back. Depending on the colour variant, OnePlus has called on a variety of different manufacturing techniques to finish the OP6. With the mirror black version, the company has managed to make the back feel like its made from ceramic instead of glass. Typically, I dislike smartphones with glass backs — they just don’t feel as comfortable to hold as smartphones that are made from metal — but in the short time I’ve used the OnePlus 6, I’ve found myself liking the overall feel of the device. At launch, the OnePlus 6 is available in two colours — ‘mirror black’ and ‘midnight black’ — the device pictured in our hands-on is the mirror black variant. Essentially, consumers are picking between a glossy or matte finish when they decide between the mirror black and midnight black models. Later in the year, the phone will also be available in a ‘silk white’ colour that features rose gold accents. I can’t speak to the other two colour options, but between the pre-applied screen protector and glass back, the mirror black OnePlus 6 was quick to smudge in MobileSyrup’s limited time with the device. Thankfully, OnePlus continues to make an excellent line of first-party cases that add little to the phone’s overall size profile. Other changes include a fingerprint sensor shaped like a rectangle, as opposed to a circle. There’s also a less noticeable camera bump, which is aligned vertically this time around. Taking a page from Apple, new to the OnePlus 6 is a tagline along the bottom of the device that declares “Designed by OnePlus.” The company has never been shy about how much inspiration it draws from Apple, so the added tagline feels like the natural evolution of OnePlus’ design language. All in all, the OnePlus 6 is an attractive device. While its design language is definitely indebted to the iPhone X (just like the OnePlus 5 was indebted to the iPhone 7), more so than it predecessor, the OnePlus 6 feels like its own device. Moving to the device’s specs, a few things stand out. The first is that the OnePlus 6, like the OnePlus 5T, does not include an official IP water- and dust-resistance rating. According to a OnePlus spokesperson, the phone will survive everyday spills like an accidental trip to the toilet bowl, but it’s not rated to go swimming. Second, the phone is also missing wireless charging. This omission of inductive charging is a bit of a head-scratcher since OnePlus switched to a glass design with the OP6. Here, the company says it believes Dash Charge remains the best charging solution for its fans. 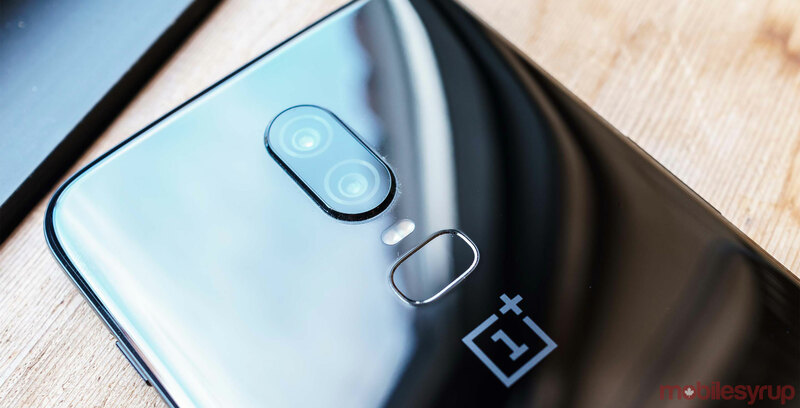 Finally, after the company shipped multiple smartphones without optical image stabilization (OIS), OnePlus has finally decided to add OIS to its next phone. Image stabilization is only featured on the main rear-facing camera. Based on specs alone, the camera on the OnePlus 6 appears much improved over the camera that shipped with the 5T. MobileSyrup will have more detailed thoughts on the OnePlus 6, including specifics on the camera experience, new software features and performance, when it becomes officially available next week.